It’s a light hearted Saas Bahu drama. 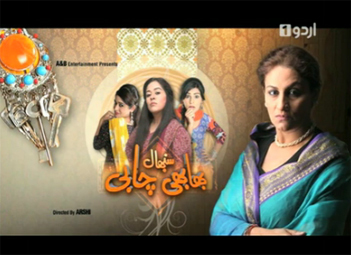 Based on the routine clashes between a strict Mother-in-Law and her three Daughter-in-Laws. Keys to the house are the prime treasure which the mother –in-law holds. She believes owing them is the only way to RULE the house. In every episode all three daighter-in-law get united and schemed against her to get the Keys. But to their Surprise the mother-in-law is always a step ahead.